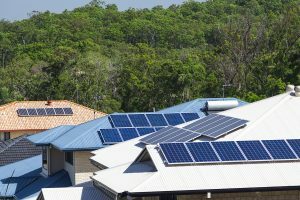 There have been a lot of advances in solar technology since Solar Edwards commenced manufacturing Solar Hot Water heaters in Australia in 1963. Today, an international organisation, Solar Edwards has progressed to be a world leader in producing solar hot water systems for both domestic and commercial use. Generally, where there is sunshine you will find a Solar Edwards stainless steel solar hot water system hard at work – in Asia, the Pacific, in the Americas, Europe, Africa and the Middle East – gaining worldwide reputation for excellent value for money and the latest in engineering design. With the financial, engineering and technical resources of Solar Edwards solar hot water and a commitment to quality, innovation, after sales service and extensive warranty, Solar Edwards has become a major force in solar hot water in Australia and around the world. Solar Edwards carefully manufactures its range of Solar Hot Water Heaters so that they operate trouble free. Solar Edwards comprehensive warranties ensure your complete satisfaction and confidence in our product. The storage cylinders for all Solar Edwards roof-mounted solar hot water heaters are stainless steel. Stainless steel acts as a natural barrier to corrosion. Therefore, Solar Edwards stainless steel solar hot water systems do not require a sacrificial anode and are virtually maintenance free. On the other hand, competitors mild steel cylinders with vitreous glass lining are prone to corrosion once the anode has been mostly consumed. Mild steel cylinders can also corrode from the outside as well as from the inside. The outer casing of Solar Edwards storage tanks are constructed from highly durable, weatherproof COLORBOND steel. Solar Edwards offer a choice of seven colours with their roof mounted range. This colour choice allows you to choose a system which will complement your roof and blend with your home’s aesthetics. All this at NO additional cost!